In a shocking attack on the right to freedom of expression Bahrain’s authorities upheld the conviction of opposition leader Sheikh Ali Salman and increased his prison sentence from four to nine years for giving speeches in which he criticized the government, said Amnesty International. “Sheikh Ali Salman’s conviction is clearly politically motivated and is designed to send a message to others that even legitimate and peaceful demands for reform will not go unpunished. He is a prisoner of conscience and should never have been put on trial in the first place. He must be immediately and unconditionally released,” said James Lynch, Deputy Director of the Middle East and North Africa Program at Amnesty International. Sheikh Ali Salman, who is the Secretary General of the main opposition party al-Wefaq National Islamic Society, was originally sentenced on June 16, 2015 after an unfair trial to four years in prison on charges including “publicly insulting the Interior Ministry” and “publicly inciting others to disobey the law.” The charges relate to speeches he made in 2012 and 2014. Ebrahim Sharif, former Secretary General of the National Democratic Action Society [Wa’ad] was imprisoned for one year on February 24 for calling for reform in a speech. Fadhel Abbas Mahdi Mohamed, former Secretary General of the Unitary National Democratic Assemblage [al-Wahdawi party] continues to appeal against a five-year sentence handed down to him after an unfair trial in June 2015 for a statement made by his political party condemning the Saudi Arabia-led airstrikes in Yemen. “With three prominent opposition politicians behind bars, the authorities have made clear that criticism will not be tolerated in Bahrain today and anyone who dares to challenge them is at risk,” said Lynch. 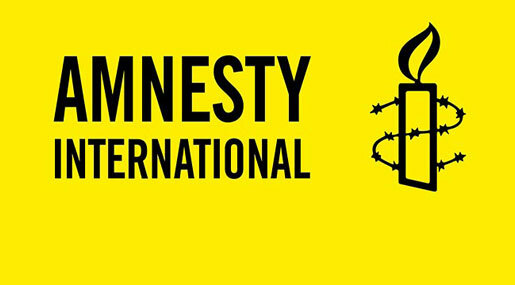 Amnesty International considers Sheikh Ali Salman, Ebrahim Sharif and Fadhel Abbas Mahdi Mohamed to be prisoners of conscience imprisoned solely for peacefully expressing their views. Thousands of protestors took to streets in west of the Bahraini capital Manama on Friday (May 27, 2016) demanding the release of opposition leader and Secretary General of Al-Wefaq National Islamic Society Sheikh Ali Salman and all political prisoners, Bahrain Mirror reported. According to human rights organizations, the number of political prisoners in Bahrain has reached around 4,000. Protestors marched through the streets of Diraz, holding photos of Sheikh Salman, following Friday prayers, and chanting slogans demanding his release. Pro-democracy demonstrators also voiced their adherence to calls for a democratic transition of power, which will put an end to the ruling Al Khalifa family’s monopoly over power. Demonstrators took to the streets of the village that witnesses protests every Friday, despite the ban imposed by the authorities, who used violence to disperse protestors in a number of villages Thursday night (May 26, 2016). A Bahraini court sentenced 10 defendants, whom the regime authorities accuse of forming an armed group called “Saraya Al-Ashtar” to life imprisonment on Monday (May 30, 2016). The court also sentenced 2 others to 10 years in prison, revoked the citizenships of 12 defendants and acquitted two. The Chief of Bahrain’s Terrorist Crimes Prosecution, Attorney-General Ahmad Al-Hammadi, stated that the Fourth High Criminal Court fined the first two defendants 200,000 BD and the third, fourth, sixth, seventh, eighth, ninth and twelfth defendants 10,983 BD and 700 fils for the damages caused to the police vehicles. Meanwhile, it acquitted two suspects of the charges raised against them. The prosecution relied on the hearsay evidence. Local and international human rights organizations accuse Bahrain of using torture to extract from suspects confessions that would incriminate them. The Bahraini High Appeals Court, presided over by judge Mohammad bin Ali Al Khalifa and Naji Abdullah as secretariat, upheld on Tuesday (May 31, 2016) the death sentences issued over the case of killing an officer and two policemen in the village of Al-Daih. Bahrain’s Fourth High Criminal Court handed down on (February 26, 2015) the death penalty to 3 defendants and life-imprisonment to 7 others. The court also revoked the citizenships of 8 Bahrainis over the case, finding the defendants 929 BD and 691 fils. A court in Bahrain has ordered the release of a prominent female rights campaigner, Zainab al-Khawaja, who has been in prison with her baby son since March.